Terkko Health Hub opened its doors to the Finnish health and life sciences community 9 months ago. 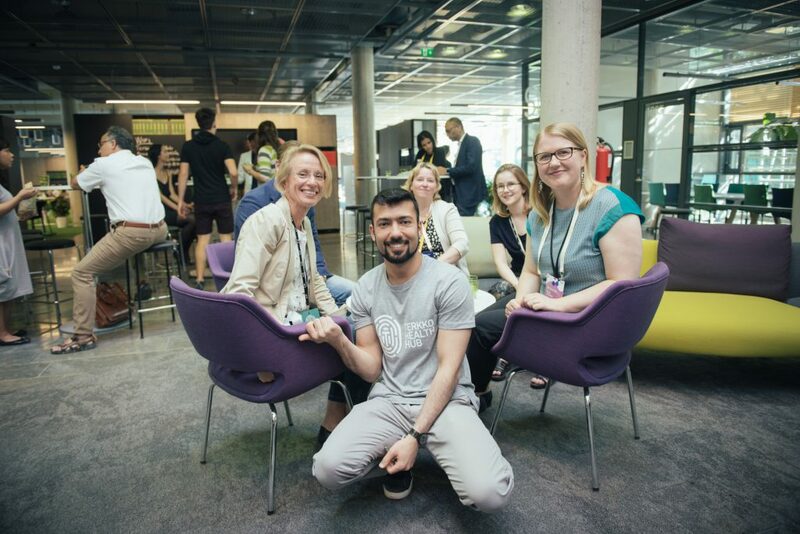 In this birth report, Terkko coordinator Rashad Ismayilzada answers some frequently asked questions and looks into the past, present and foreseeable future of Terkko Health Hub. Once upon a time, there were three giants in the health and life sciences fields in the faraway city of Helsinki: HUS University Hospital, the Faculty of Medicine, and Helsinki Institute of Life Sciences (HiLIFE) at the University of Helsinki. The three giants were faced with a challenge: “What should we do to facilitate the development of ideas into new business?”, they wondered for years. Then they found the answer: “Let’s establish a startup hub that shall become the biggest health and life sciences hub in the Nordics!”. So, after years of work, the freshly renovated Terkko Health Hub opened its doors to the public in October 2017. In came both new customers – those who had just discovered us and old customers – yes, old customers too, since they had previously known the Terkko building as the Meilahti campus library or “Terveystieteiden keskuskirjasto” – hence the name Terkko. Luckily, the precious library was spared in the renovation and is now fully functioning on the second floor of Terkko. First floor, however, is a full-blown startup hub, public co-working space and an event venue catering to the needs of not only faculty members, but also to the entire Helsinki city, Finland and global health and life-sciences community. And they all co-worked happily ever after. The End! No wait… This was only the beginning! Co-working space. We have offices and flexible desks for startups to rent, meeting rooms that can be instantaneously booked by Terkko app and of course, a lovely community kitchen. Additionally, by being located in the house, startups get a company address and access to Terkko’s network. Startup community. To tell a few words about our precious community, we house over 15 startups specializing in e.g. med-tech, life sciences, cybersecurity, pharma and virtual reality. Our companies include rocketing startups, such as Disior, PetBiomics, Novasano, Neutron Therapeudics and Osgenic. Business services. We organize events, advise on business matters, and connect our members to universities and hospitals to verify and improve their products, as well to collaborate. We also help them with finding investments and connection to healthcare professionals in public and private sectors. Event organizer. Terkko organizes a number of health-related speaker and networking events. Our main event series is Terkko Health Talks, which focuses on sharing entrepreneurship savvy in health and life sciences. These talks are organized mutually by Health Capital Helsinki and NewCo Helsinki. 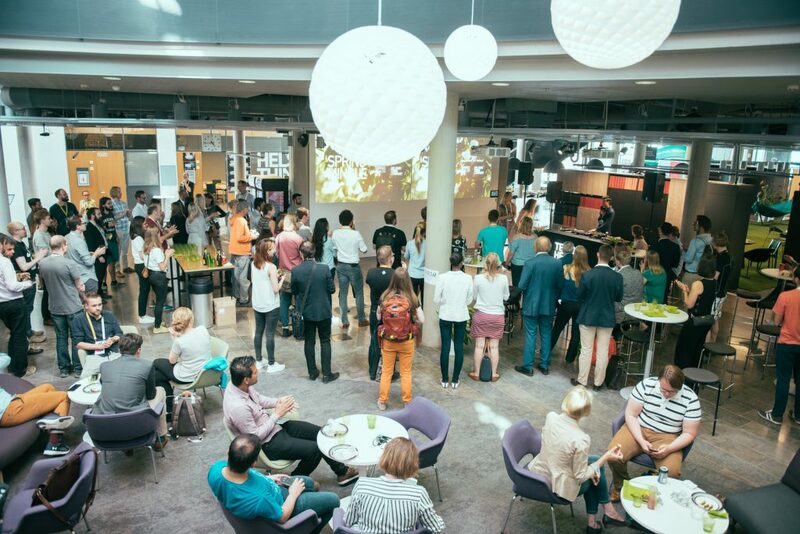 In addition, we hold Future Health Club, panel discussions, challenges on health and life sciences organized by Helsinki Think Company, and Findery, pitching events by startups for hospital staff organized by HUS Findery. Free event space. Terkko event space is bookable for free, every day, for all sorts of organizations and groups to hold events. If you are interested in organizing your health event in Terkko, you can find all the necessary information on our bookings page. Terkko network. 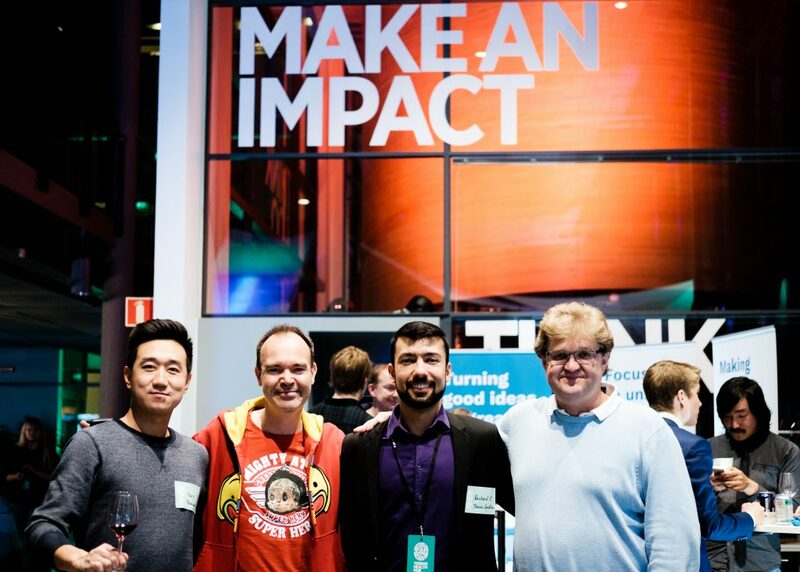 Terkko Health Hub has several very active and prominent in-house actors – Helsinki Think Company, Health Capital Helsinki, Newco Helsinki, HUS Findery, HUS VR Lab and HUS Testbed. New website. We have recently launched our new webpage where you can familiarize yourself with our spaces, book meeting rooms and the event space, as well as learn more about our community members and enablers. Now that you know the past and the present of Terkko, I could tell a few last words about our future plans and directions. We are planning a space alteration of our flexible desk area, so in the fall you will see some very nice changes in our physical space. Hopefully, by this we will create more privacy and comfort for our startups. As autumn rolls around, we will continue organizing our events and will create even more relevant concepts for the Meilahti campus folks. We are hoping to get more help from our students for this endeavor as well. We are also intending to expand our community quite extensively, especially once the flexi space gets redone. Lastly, I’d like to say, do not forget to follow us on Facebook, Twitter, Instagram, and Linkedin, as the social media is where we share the latest news and happenings at Terkko. Thank you for taking time to get to know us! Hope to see you not far away, but very near, hopefully at Terkko!